When the humble hedgehog was crowned "Britain's national species" in a BBC Wildlife Magazine poll and "Britain's favourite mammal" in a Royal Society of Biology poll, no doubt, sentimentalised memories of Beatrix Potter's The Tale of Mrs Tiggy-Winkle, played a role in swaying public opinion. "Beatrix Potter managed to sprinkle some magic over the hedgehog, transforming it into the irresistible companion of our gardens." So what's to blame? We are. Well, the changing lifestyles and tastes of people, to be precise. Farming methods have changed dramatically over recent years – becoming increasingly intensive. This has led to the removal of many hedges, an important habitat for the British hedgehog. It has also had negative implications on their main diet of worms, beetles, slugs, caterpillars, earwigs and millipedes. The country's roads are also busier. Hedgehog road deaths are estimated to exceed 100,000 a year in Britain. Road networks also cut through habitats leaving hedgehogs isolated, while our gardens are increasingly becoming more humanised. Lawns have been turned into tarmac for cars, foliage has been torn out, decking added, garden borders peppered with slug pellets, and hedges replaced by impenetrable fences and walls. All of which mean that hedgehogs are not only losing their habitats, but also their chances of survival. 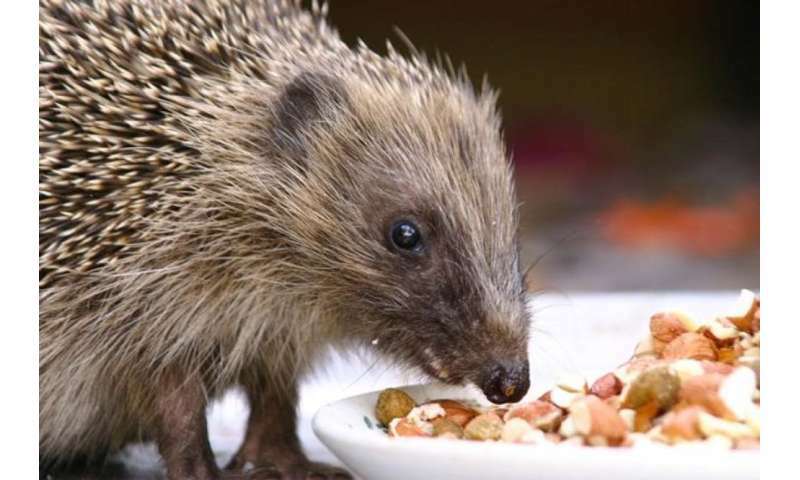 The plight is such that the British Hedgehog Preservation Society and People's Trust for Endangered Species launched Hedgehog Street in 2011 to encourage people to champion the species and its habitat. 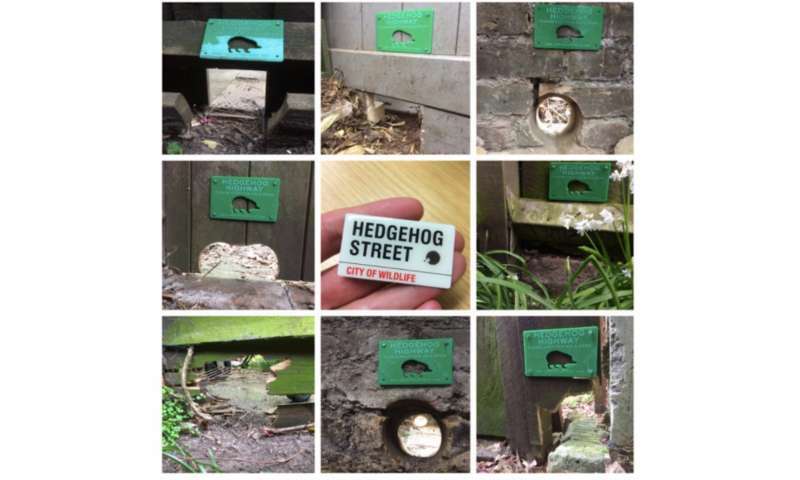 At the RHS Hampton Court Palace Flower Show in 2014, designer Tracy Foster made Hedgehog Street a reality, creating a summer garden to demonstrate "how neighbours can work together to help hedgehogs by providing routes through garden boundaries". Sharing slogans such as "no one garden is enough" and "make a hole, make a difference", the hedgehog haven won People's Choice for Best Small Garden and the coveted RHS Gold medal. The first permanent Hedgehog Street garden was unveiled at RHS Harlow Carr, in North Yorkshire in April 2017. To make your garden a haven for hedgehogs doesn't take a lot. Log piles, compost heaps, leaf piles, overgrown corners, wildflower patches, all help. As do gently sloping ponds, feeding stations, and specially made hedgehog houses. But as "no single garden can offer everything they need", make "holes for hogs" a community thing. 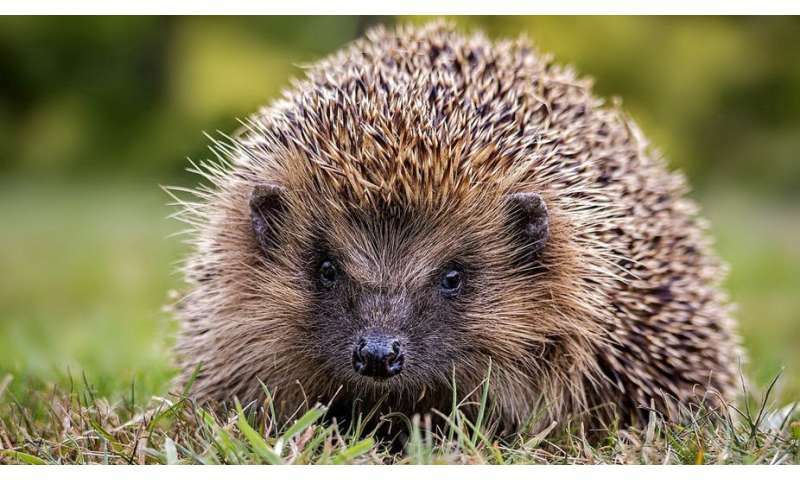 Connect with your neighbours and think of your garden as a hedgehog highway – square holes in fences and walls – 13cm wide to be exact – allow for their safe passage. These changes can be made straight away, but be careful not to disturb hidden hedgehogs, as they hibernate until spring. Keeping netting at a safe height will avoid tangling and starvation. Stopping (or reducing) the use of pesticides and slug pellets will stop (or reduce) poisoning. Providing an easy route out of ponds and pools will prevent drowning. And, responsibly disposing of litter will reduce hedgehogs getting in trapped in tins, rubber bands and McFlurry lids.